Lists. We all seem to have a morbid fascination with league tables and lists – not least when they involve astronomical wealth that we can barely aspire to let alone relate to. We’ve had the top music earners, the top DJ earners, the British Rich List – you name it – it’s been ranked. So here’s the latest one for the voyeuristic public to dissect. The top earning celebrity couples. 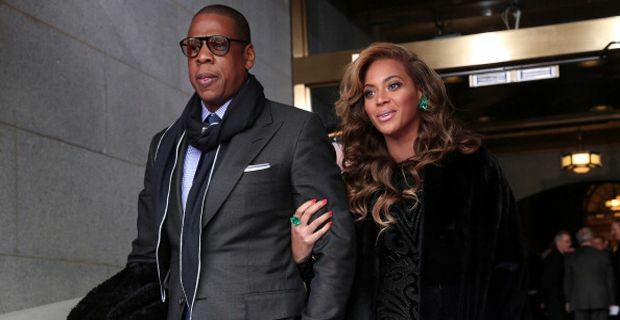 Somewhat predictably, Beyonce and Jay Z have topped the poll of the top-earning couples of the last year, earning $95 million (£59 million) between them from June 2012 to June 2013. Forbes, who like listing rich people, a hefty chunk of their revenue has come from their individual touring schedules. pair's revenue has come from both artists' heavy touring schedule throughout the year. Jay-Z's Watch The Throne tour (he’s keeping it real then), with Kanye West, earned him a staggering $1.4 million (£900,000) per night, while his Legends of the Summer dates with Justin Timberlake did wonders for his bank balance if little for his credibility. Beyoncé, meanwhile, pulled in $2 million (£1.25 million) per date on her own Mrs Carter tour. Let’s not forget their corporate endorsement deals either. Beyoncé is Mrs Pepsi as well as Mrs Carter while Jay-Z's snuggled up to Samsung and effectively sold them 1 million copies of his new album for them to give away for free. Thankfully however, they weren’t allowed to count toward the album’s chart position. Second on the list were supermodel Gisele Bundchen and American football player Tom Brady – possibly a surprise if you don’t live in America as their international profile is considerably lower than the other couples in the list. And Brad Pitt and Angelina Jolie came in third. Kanye West, meanwhile, ranked fifth with his partner Kim Kardashian just after Ashton Kutcher and Mila Kunis.